There have been a lot of articles popping up lately about Ayn Rand, the gold standard, her admiration of Ludwig von Mises, her philosophy of Objectivism, and her views on religion. After reading several recent articles about Rand, I seriously doubt that most of those writing about her have studied Objectivism, understand it, or could even attempt to explain it. Having written about the gold standard for decades, met Ayn Rand and studied under her at her institute in New York in the sixties, and met von Mises whose works I’ve studied thoroughly—I want to offer a short, informed, summary of Ayn Rand’s philosophy. Rand's philosophy is a formal one. It begins with Metaphysics and parallels Aristotle's view of reality. It holds that existence exists and that A is A. Rand’s starting point is that reality is specific and that it exists independent of human consciousness. Using today’s jargon, reality is what it is. The next building block in Rand’s philosophy is epistemology. Epistemology is the study of how we know what is. Rand held that individuals have the ability to understand the world around them through the exercising of reason and logic. This is a lot more controversial than it may sound. Many claim the opposite and believe that reality is a fuzzy thing; that individuals cannot trust their minds, reason, logic, or their senses to identify it. Ayn Rand forcefully argued that this popular view is destructive and ultimately undermines an individual's ability to gain knowledge while eroding their confidence and self-esteem. This philosophy, that you can't know things for sure, is called subjectivism. Rand decided to call her philosophy, which is the exact opposite of subjectivism: Objectivism. Subjectivism holds that reality is a matter of opinion, that there is no certainty about it, and that there is no truth. After all, if existence is an illusion, then so is truth. Objectivism asks, “Are you sure about that?” If you are, then check your premises, because you can’t argue that you are sure that you can’t be sure about something. That is a contradiction in terms. So too is the subjectivist’s assertion that there are no absolutes. Rand would ask again, “Are you absolutely sure?” Here is another contradiction in subjectivism, and either a “Yes” or “No” answer proves that subjectivism is a flawed philosophy. Later Greenspan would hear that Ayn would ask various people from time to time whether the young man she had talked with had ever decided whether he existed or not. Such was the talent of this remarkable woman to cut to the heart of an issue and make her point. Rand insisted that contradictions should not be allowed to exist in one’s thinking. If a contradiction does exist, her philosophy suggests that you check your premises, and correct it. Allowing contradictions to remain uncorrected undercuts one’s ability to determine truth. Understanding reality and arriving at truth is achieved by correctly identifying the facts of reality through a non-contradictory process of reason. This is why Objectivism rejects all forms of mysticism. A lot has been made of the fact that Rand was an atheist. But in all the time I knew and followed her I never once heard her promote atheism. Atheism just wasn’t an issue for her, but mysticism was. Let's face it, belief in such things as God, a soul, or heaven and hell, are acts of faith. That’s why religions are called faiths. Objectivism says believe whatever you want, it’s a free society, just don't claim such beliefs to be “true.” Hundreds of differing faiths around the world claim theirs to be the true religion, but according to Ayn Rand’s philosophy truth must be verified. Most religions have come to terms with the fact that competing interpretations of God and competing religions exist. Even if they agree on some points, the various faiths and sects disagree on the specifics. Still, a Catholic priest can have a relaxing social lunch with a Jewish rabbi and be perfectly cordial. Most religious leaders show tolerance for the diversity of views that exist even though they strongly disagree with each other. Why then is there so little tolerance for Ayn Rand’s view? Answer that question and you will uncover the fears and motives of Rand’s antagonists. Rand rejected all forms of mysticism which promote accepting various ideas without proof or verification; something she would never allow herself to do. Ayn refused to sacrifice reason to blind faith and fought vigorously against anyone who advocated that individuals should or must do so. For the next building block in her philosophy we move to ethics. Rand explained that down through the ages Man has been offered a false choice: to sacrifice himself to others (the alleged good choice) or to sacrifice others to himself (the allegedly selfish course). Rand rejected this as a false alternative and departing from conventional "morality," taught the world a new morality, that individuals can live their lives without sacrifice. Objectivism sees society as offering individuals only the choice between being a sadist or a masochist. Objectivism tells individuals that they can reject both paths and live life without sacrificing themselves to others or sacrificing others to themselves. Ayn Rand advocated a morality of rational self-interest. Ayn purposely titled one of her books The Virtue of Selfishness, because selfishness is universally considered to be an evil. In fact, the only word in the English language to describe self-interest is selfishness. The war against self-interest has been so successful that the very moral act of pursuing one's self-interest is now considered to be an immoral act; with evil at its root. Rand refutes this and asserts that there can be love of self and that pride is not a sin. She was a champion of intelligence, competence, success, and self-esteem. Remember, Rand advocated rational self-interest, a third moral choice for individuals, and that was her primary contribution to philosophy. Perhaps the first act of sacrificing an individual for the “greater good” was throwing a young virgin into a volcano to appease the gods. Today our moral and political leaders continue to implore us to sacrifice our self-interest in the name of a higher good – whether they call it God, society, or the state. Throughout Ayn Rand’s writings she constantly warned that those calling for sacrifice aim to be on the receiving side of the bargain in one way or another. And that we are the sacrifice. Of all the Authors I’ve read, few use the terms “moral” and “morality” more than Ayn Rand. She was passionate about the sanctity of the individual, their rights, and their integrity. Just as Adam Smith offered the world capitalism in the name of the invisible hand of self-interest, Rand offered the world ethics based on rational self-interest. Ayn Rand's individualistic morality was what led her to write The Fountainhead which became one of the most read, and controversial, books of all time. That is until Atlas Shrugged was published to even greater acclaim and controversy. Rand's portrayal of a man that refused to compromise his principles became the prototype of America's “rugged individual.” These epics offered individuals a morality that encouraged each to pursue their own self-interest rather than feel guilty about it. Before The Fountainhead no one had dared to state that the individual was more important to progress than society as a whole. And until Atlas Shrugged, no one had argued that taking away the best and the brightest producers from society and bringing an economy to its knees could be a moral and heroic goal. 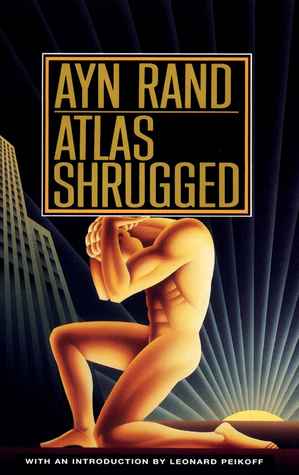 To date Atlas Shrugged continues to be a best seller. This leads us to politics and economics. Here Rand concluded that true freedom, specifically in the form of laissez-faire capitalism, leads to the highest levels of investigation, experimentation, creativity, and innovation; hence the most prosperity. 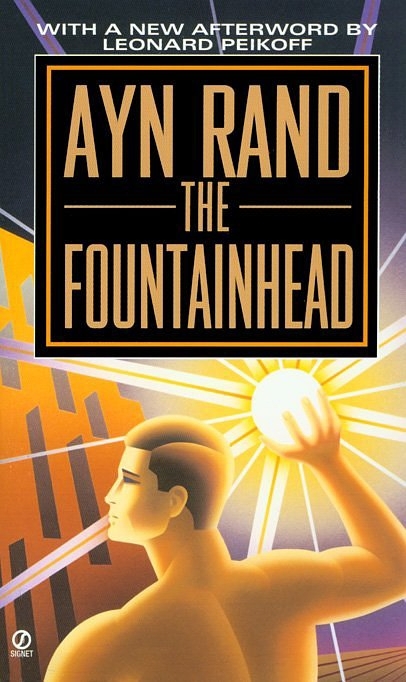 Rand declared that it is Man’s mind that is the fountainhead of progress. Rand, who was and still is deemed an extremist and a radical by her enemies, never denied these charges. Instead she freely admitted to being an extremist for freedom and radical in her support of free market capitalism. It is freedom, the freedom to think, to take actions based on one’s own judgment, and to produce and to go as high and as far as your ability will take you, that Ayn Rand fought for. By her philosophy, we should demand no less from life. In fact, it is because Man’s very nature requires one to make choices, that freedom is a necessity for Man. Thus Man’s nature makes freedom THE pre-existing requirement for individuals to think, choose, act, and progress. Allowed to think independently and produce freely, prosperity results. But take away Man’s freedom and stagnation results. Even still, prosperity in and of itself isn’t the goal; the primary aim is a free society where individuals prosper. It’s interesting to note that Rand offered her conclusions on politics and economics not at first – but at last. That’s because Rand believed politics to be the final link in the philosophical chain. She began with fundamental premises, built on those, and ended with freedom. Rand argued that a free society must be based on natural rights which are derived from the very nature of Man. That is why Rand declared laissez-faire capitalism and a Constitutional Republic that safeguards liberty to be the most moral of social systems. Rand's essays, The Nature of Government and Man's Rights, delineate the proper role of government in relation to the individual. In Rand's world there should be limited government, established only to protect individual's rights and property through an army, police force, and court system. The individual is supreme in this society and can do whatever he or she wants as long as they do not use force against others to accomplish their goals. The initiation of force and its derivatives, fraud and coercion, are banned in a free society. And government should defend individuals against those that infringe on these rights. Recently the gold standard has been resurrected as a hot topic of conversation. Like Ludwig von Mises, her favorite of the classical economists, Ayn Rand believed that gold was the best money because it was both the choice of the free market, and because it is honest money. She also believed that a gold standard was the best monetary system for a country because it was independent of politics. Just as we have a separation of church and state, we should also have a separation of economy and state. A gold standard is the best monetary system to accomplish this. While Rand advocated the goal of returning to a gold standard, she also made it clear that it would be premature to do so in the undisciplined world we live in. I agree. A gold standard has rules and requires free trade and fiscal discipline to operate properly. We do not have free trade or fiscal discipline today, and to return to a gold standard now would almost certainly end in our just going off of it again, blaming its failure on freedom and capitalism. As a personal tribute to Ayn Rand I ended my book The New Gold Standard with the sentence, “If we are to ever return to a gold standard, it will be on the wings of capitalism—and not before." Long ago I learned from Ayn Rand that just as ideas must rest on proper premises and conditions; there also must be a proper sequence of events to create a sustainable economy and monetary system. To impose a gold standard on an economy in an attempt to achieve freedom and prosperity is impossible. You can’t graft a system of monetary integrity onto a system of fiscal irresponsibility. Rand's philosophy builds on itself. Existence exists. We can know what exists through rational thought and investigation. We must think and make choices to arrive at knowledge. And we must have the freedom to do so. There is a lot more to Ayn Rand’s philosophy than what I’ve summarized here. Fortunately, she was thorough and prolific in her writings where she answered any questions about how to apply her philosophy to one’s own life and within society. A new generation is discovering the philosophy of Ayn Rand through her magazines The Objectivist Newsletter and The Ayn Rand Letter and her various books. The power of her coherent and consistent philosophy is giving people everywhere the ability to defend their ideas as individuals. Thanks to Ayn Rand we no longer have to sit silent and “take it.” We don’t have to accept the view that our minds are incapable of understanding the world or that the world can only be understood by a special few. We don’t have to falsely labor as our brother’s keeper or feel that we have no right to live our lives for ourselves. And we don’t have to feel guilty about capitalism and the untrue claim that the profit motive is evil. 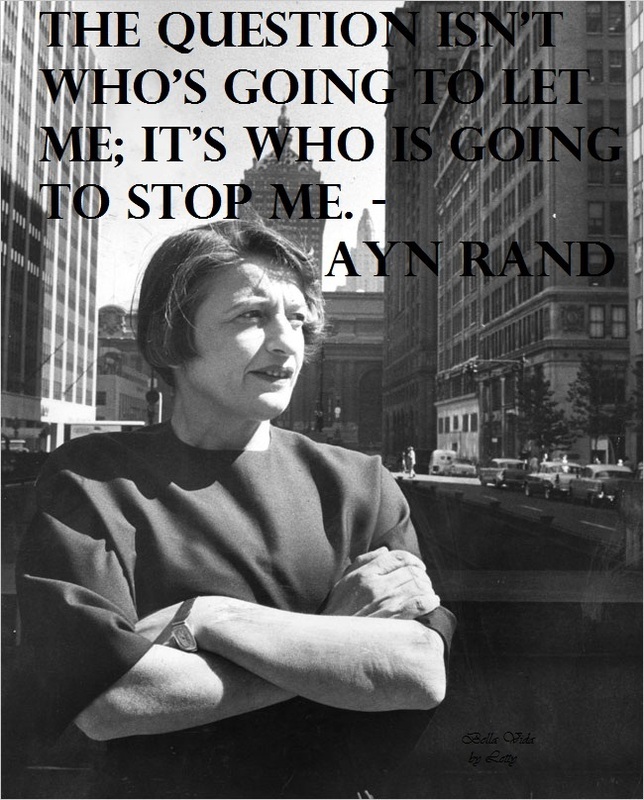 Ayn Rand gave us the tools to fight back, to challenge the so-called“wisdom” of the ages. But it is up to each of us to use this knowledge in the intellectual battle for individualism and personal freedom.